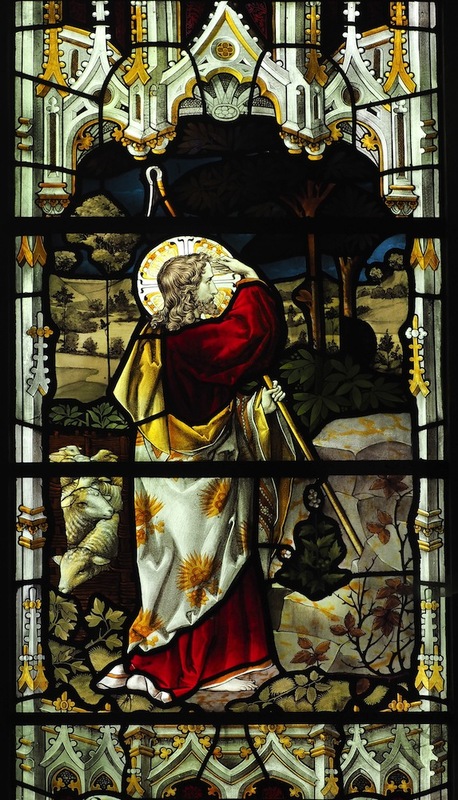 The other two figures of Jesus as the Good Shepherd, from a pair of windows in the south aisle of All Saints Church, Jesus Lane, Cambridge. 1893. The guide tells us that these windows were given in memory of Christine Attack (though the more usual spelling of the surname would be Atack). 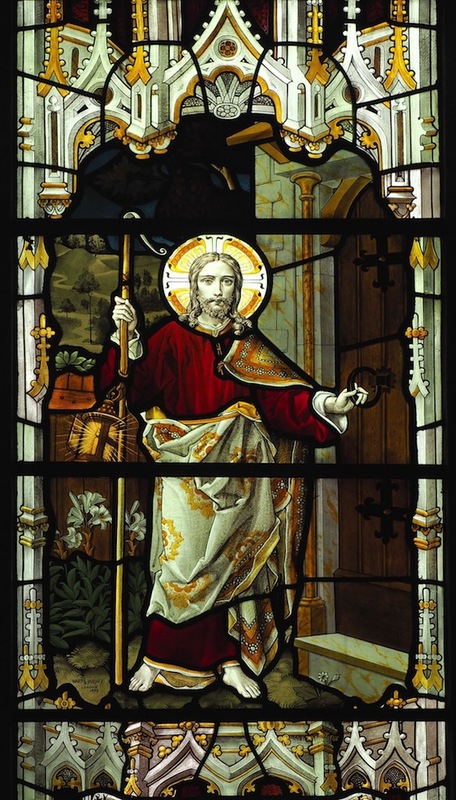 The panel on the right clearly owes something to William Holman Hunt's extremely popular Light of the World painting. 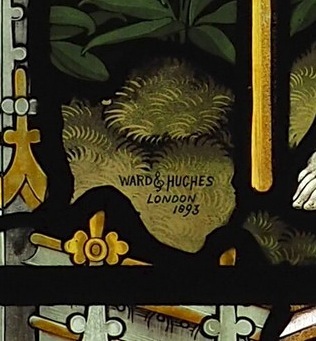 This one has Ward and Hughes's signature on it at the lower left-hand edge, as well as the date 1893. 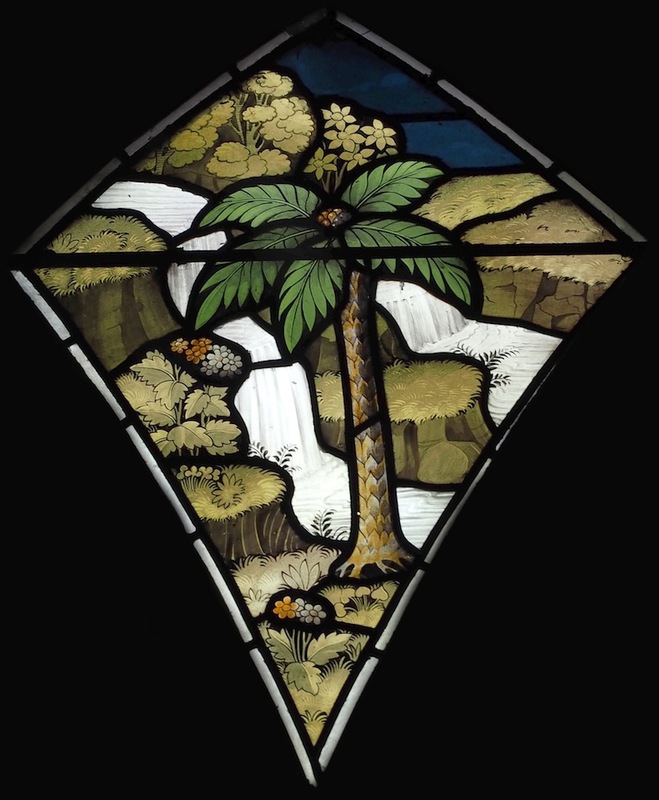 As seen on the right here, there is another pleasing landscape in the tracery lights, with symbolic overtones — the palm tree reminding us of Palm Sunday and suggesting victory, the waterfall again reminding us of Baptism, Holy Water etc. Tricker, Roy, and others. All Saints Church. London: Churches Conservation Trust, 2004 (kindly supplied by Adrian Powter).